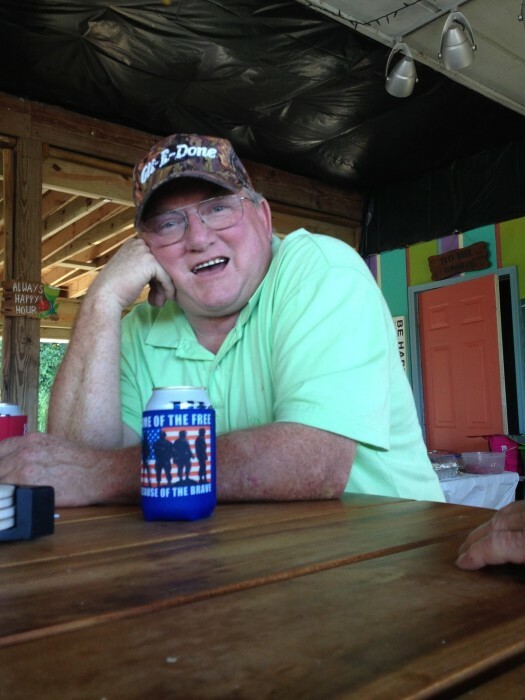 Allen “Big Al” Johnson, Sr., 65 of Chattanooga, went home to be with the Lord Monday, April 15th, 2019. Big Al was born and raised in Chattanooga, TN and worked for 8 years at Frost Cutlery as a laser etcher. He loved to hunt, fish, hang out at the Brown’s Ferry Marina, and root for the TN Vols. Big Al was preceded in death by his parents, Allen Ray Johnson and Lonnie Jean Ross Johnson; and nephew, Jimmy Johnson. Survivors include his wife of 48 years, Ann Johnson; son, Allen Johnson, Jr.; grandchildren, Erika (Levi) Wallace and Trevor Johnson; great-grandchildren, Paisley and Hazel Wallace; brothers, Kenny Johnson and Randy (Missi) Johnson; uncle, Don Downey; niece, Ashley (Donald) Williams; nephew, Hunter (Allison) Johnson; several great-nieces and nephews; and a host of friends at the Brown’s Ferry Marina. The family will receive friends on Thursday, April 18th, from 1-8pm in the South Crest chapel of Lane Funeral home & Crematory located at the end of historic Missionary Ridge, Rossville.